The primary theme of Paul’s letter to the Romans is the revelation of God's righteousness in His plan for salvation—the gospel. 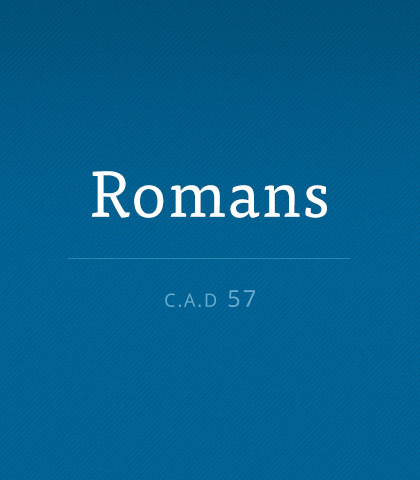 Read more about the book of Romans. No one can know everything but when we’re dogmatic and opinionated... it’s easy to see ourselves as the final authority. There’s something refreshing about people who are teachable and willing to learn from others. No one is qualified to judge another. We don’t have all the facts, we don’t know motives, and because we have our own prejudices and worldviews, it’s impossible to be objective. The only one who has all the information is God. He alone is qualified to judge. First impressions are seldom correct. We’re quick to judge others but a better approach is to choose to see the best in each other and extend grace. It’s something we all need.